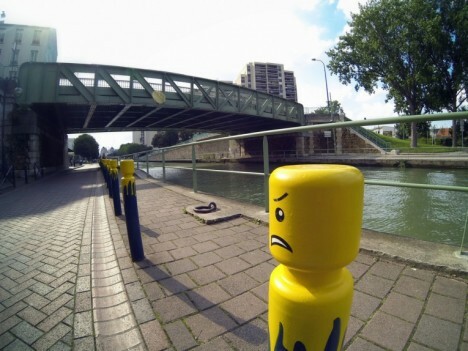 Never mind the bollards? 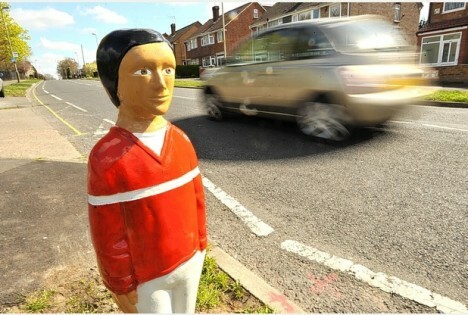 Uh-uh: these traffic stoppers halt wayward vehicles like no traffic cone can. 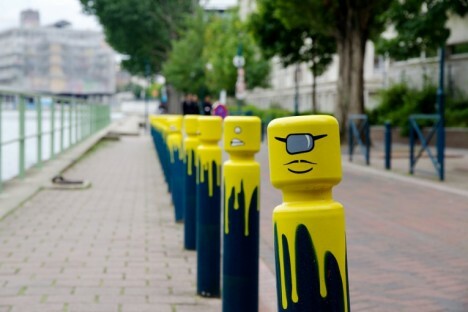 The best bollards, though, are designed to look great! 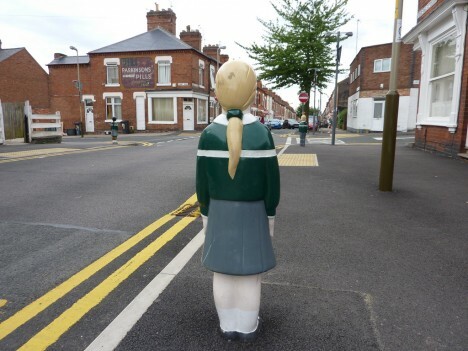 Leicester City Council faced a conundrum in early 2014: children walking to and from Whitehall Primary school were endangered by vehicular road traffic. 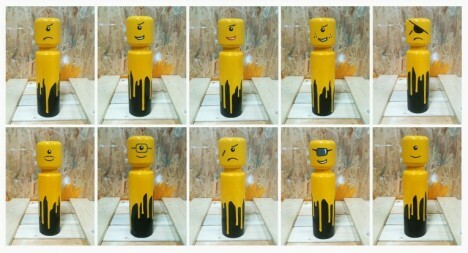 The street had no sidewalks; only a row of metal traffic bollards. 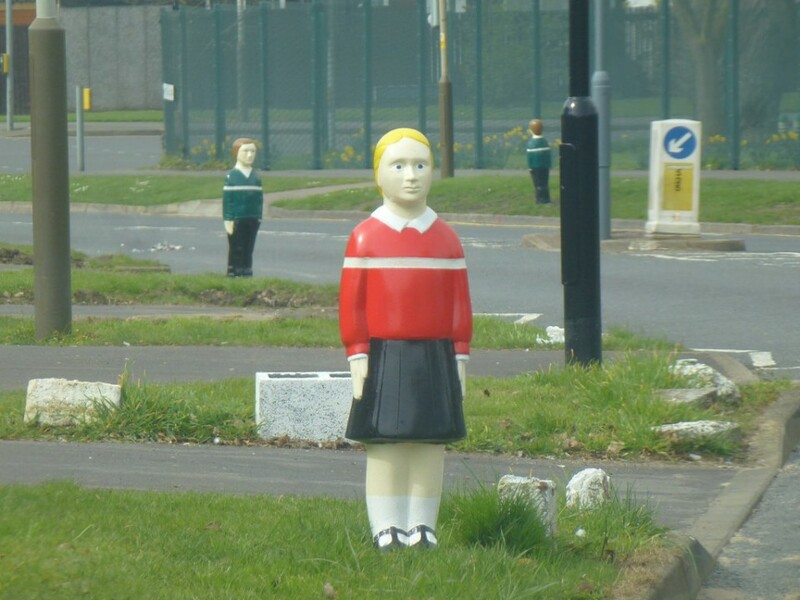 The council’s ingenious solution was to modify the bollards to look like children, many wearing the school’s red uniforms. 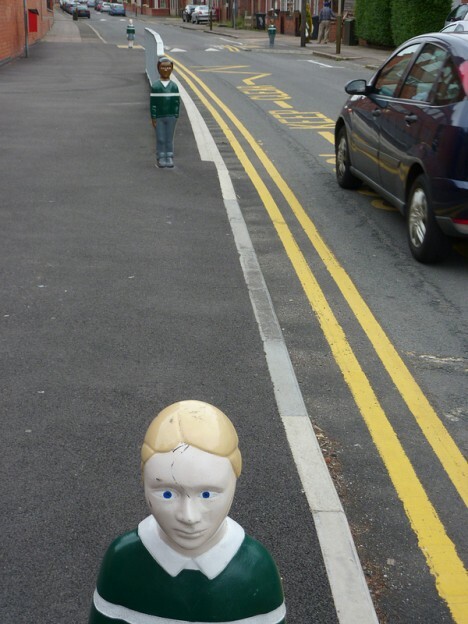 Kudos to Flickr user KiranParmar for capturing these kinda creepy “Stepford Children” in their native habitat. 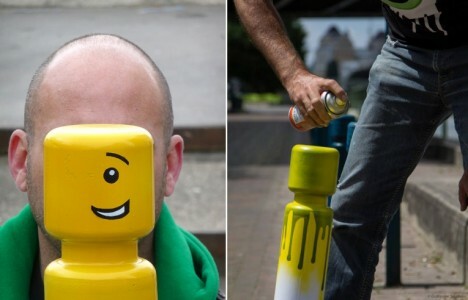 Not only do the modified bollards remind drivers to be aware of pedestrians, the scheme is much cheaper than laying down sidewalks. 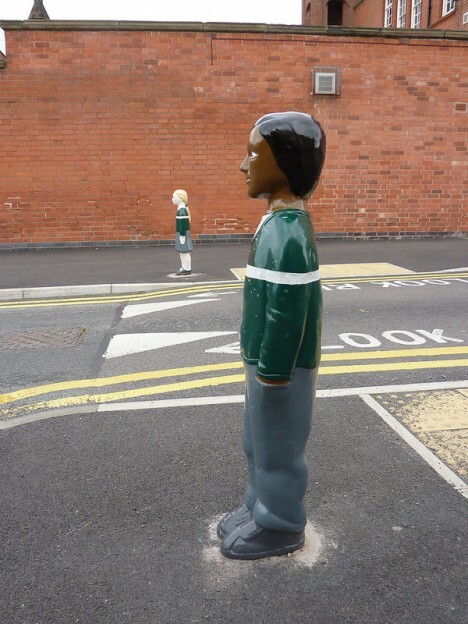 One would hope older ex-students don’t try to re-enact the infamous mailbox scene from the 1993 film Dazed and Confused… a metal bollard beats a wooden baseball bat every time. “When life gives you lemons, make lemonade,” and when traffic tilts your traffic bollard, make it look like the Leaning Tower of Pisa of course! 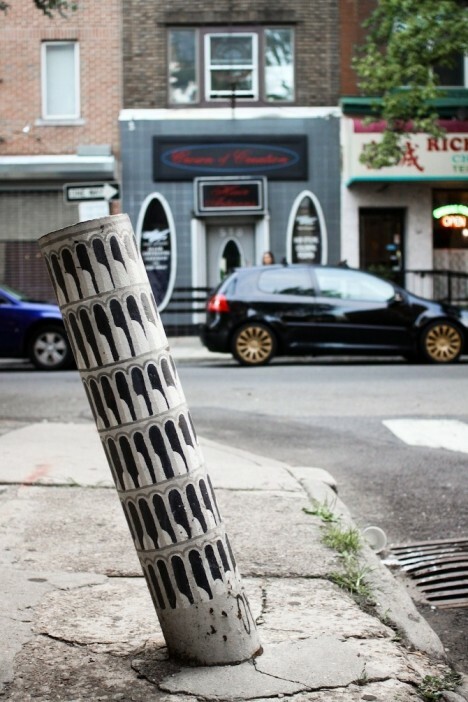 Kate McGovern snapped this tilted but still functional bollard somewhere in Philadelphia. 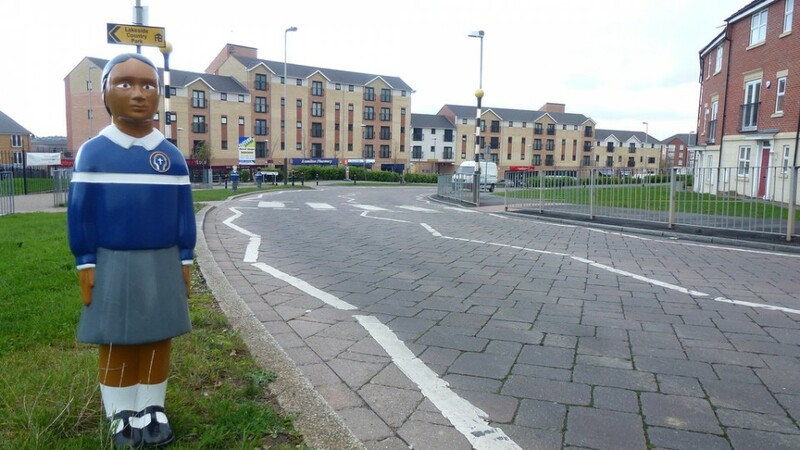 Compromised or not, the bollard seems in better shape than the surrounding pavement while providing some unexpected visual interest. 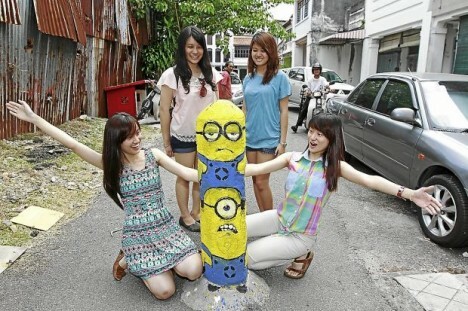 Who knew the 2010 movie Despicable Me was so popular… in Penang, Malaysia! 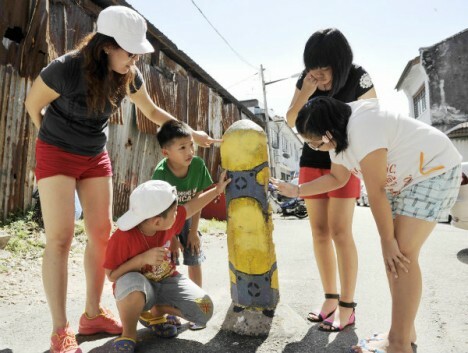 Located on Soo Hong Lane off Armenian Street in Penang’s inner George Town neighborhood, the charming street art installation was painted by Lithuanian-born artist Ernest Zacharevic early in 2013 as part of a city-sanctioned campaign to beautify Soo Hong Lane. 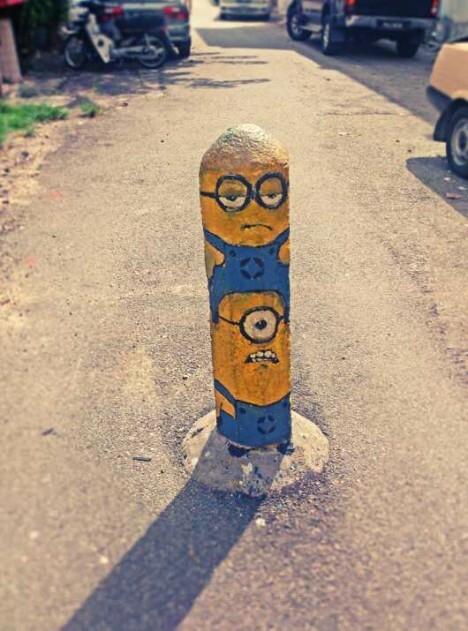 Unfortunately, Zacharevic had to be recalled to repaint at least one of the not-so-despicable bollards which was defaced – literally – by vandals.